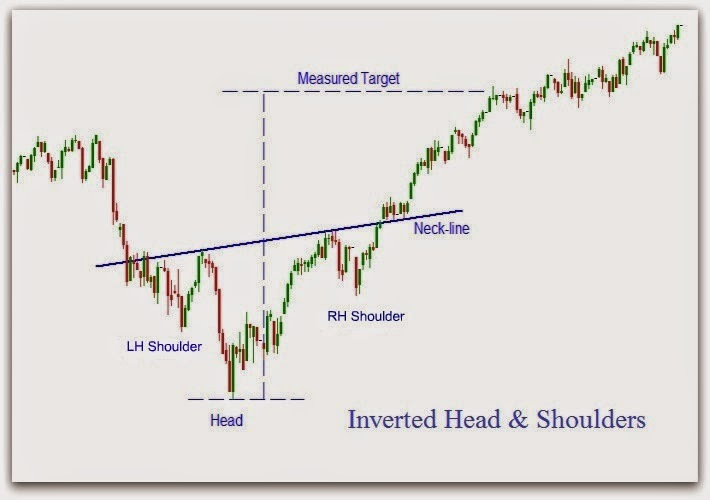 The inverse head and shoulders occurs when a downtrend reverses into an uptrend, and is basically the head and shoulders pattern we have just analyzed turned upside down. As such, it’s really just a gradual change in the direction of the trend, marked by a penetrated trendline and weakening of the current trend. Again, there are three points to the pattern, with the middle one, the head, being lower than the shoulders. The neckline is drawn across the two peaks between the low points, and it’s necessary for the price to rise clear of the neckline, otherwise it could just be a consolidation or sideways trend. 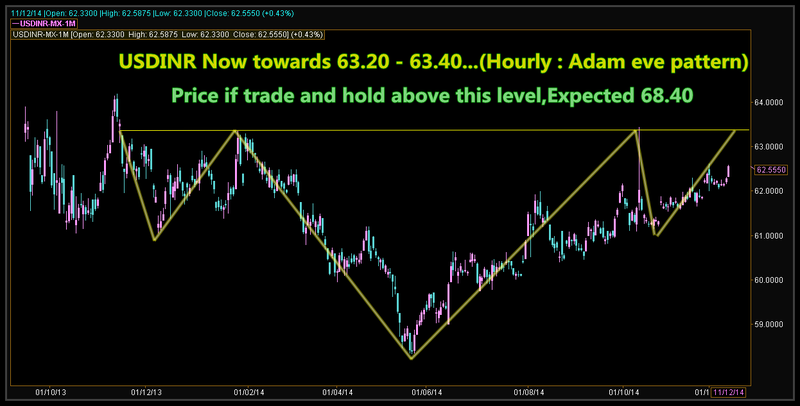 The neckline is quite likely to slant downward, but does not have to for the pattern to be valid. If it slopes upward, then you will have to wait a little longer for it to be broken and to enter a long position, but it does indicate greater strength in the market.